Since the Umbrella Movement and the ascent of Xi Jinping to presidency, the Chinese government has pursued a heightened policy of repression toward Hong Kong in levels never before seen. 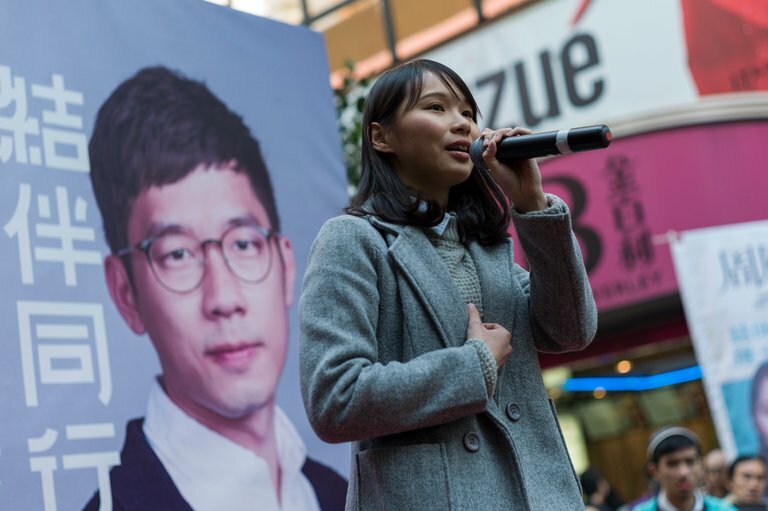 The newest attack on the Hong Kong people’s basic human rights and political freedom came earlier this year in January, when the city’s election committee officially stripped social progressive party Demosisto’s candidate Agnes Chow of her right to run in the 2018 Legislative Council (LegCo) election. Demosisto is a movement-based party that stepped into the forefront of Hong Kong’s political turmoil in the wake of the Umbrella Movement. The party was formed by the young stars of the 2014 social movement, leaders of the student activist group Scholarism, Nathan Law, Joshua Wong, and Agnes Chow. With Chow’s disqualification, the Hong Kong government has effectively barred thirteen localist and pro-independence leaders from taking political office since the Umbrella Movement. Demosisto’s Nathan Law won a seat in Legislative Council in 2016, but was quickly disqualified for taking his oath of office ‘improperly’ (giving dissident speeches before taking his oath and taking the oath “in a questioning manner”) and later imprisoned for his participation in the Umbrella Movement occupations and protests. Chow’s disqualification marks a new era in the repression of pro-democracy political leaders in Hong Kong. Since the 1997 handover from Britain to China, long-time dissident leaders, ranging from left-wing social democrats to populist right-wing leaders critical of the Chinese government, have still been able to run and serve as Legislative Council members. The political heterogeneity of the dissident camp has led to unexpected alliances and splits, most exemplified in the recent schisms in the so-called social democratic party, League of Social Democrats (LSD). LSD was formed as a coalition of populist politicians known for their provocative direct action tactics both in and out of LegCo, including members like Leung ‘Long-hair’ Kwok-hung (former member of the Trotskyist group and one-time Chinese section of the Fourth International Revolutionary Marxist League in the 70’s) and right-wing populist Wong Yuk-man. 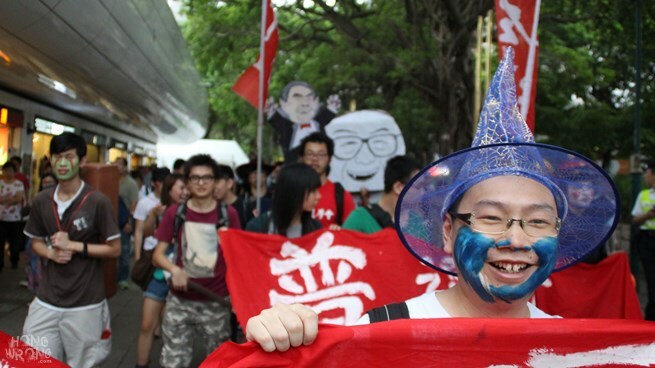 Wong and many of the right-wing elements broke away from LSD in 2011, forming their own political party, People Power. The uneasy alliances and struggles in the pan-democratic camp, from LSD’s internal political tensions, to the long-time establishment liberals like the Democratic Party and most recently, the youth-led Demosisto, reflect the contradictions and diversity of Hong Kong’s democratic movement and civil society as a whole. The Umbrella Revolution, as much as it reinvigorated a new generation of Hong Kong youth into political and civic engagement, also provided the opportunity for the government to launch a new wave of political repression. In the electoral scene, the ‘oath-taking controversy’ last year led to the ousting of long-time elected LegCo members like Leung, and newer members like the social progressives Lau Siu-lai and Nathan Law and the right-wing populists Baggio Leung and Yau Wai-ching. The ‘disappearances’ of Lee Bo and other dissident Causeway Bay Books booksellers in late 2015 into Mainland China shocked the city, and Lee’s subsequent testimony of his eight-month detention in China shed light on China’s encroaching abuse of human rights in Hong Kong. And thus, anyone who “advocates or promotes self-determination or independence by any means” would be unable to uphold the Basic Law and serve as a member of the Legislative Council. But even this distinction is sometimes lost in reality. Demosisto and Youngspiration emerged from the same political milieu, despite their ideological differences; both were the new lights of the Hong Kong mass movement in the early-2010’s, and both suffered a similar fate in the oath-taking controversy that saw both parties’ leaders democratically elected and unjustly deposed. 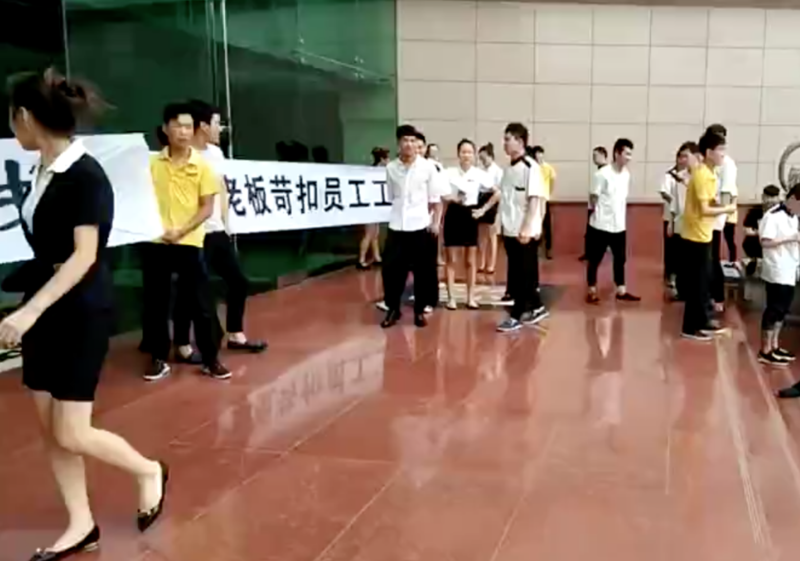 For a newly-politicized generation of youth that spurred to action not on the basis of any Marxist political tradition but mainly in reaction to China’s increasing authoritarianism, ideological distinctions between these groups are largely neglected, even by their leaders. Chow’s disqualification would further encourage the forgetting of these crucial ideological differences. The bigger implication in the decision to disqualify Chow’s candidacy is that not only Demosisto leaders, but also other localists from left to right who have risen to prominence through the recent mass mobilizations, are now actively forbidden to hold any form of electoral political power. In other words, China is keen on directly attacking Hong Kong’s democratic mass movement and controlling the HKSAR government as directly as possible. The increasingly dire political situation in Hong Kong reminds us that continuing to attend to the radical left critiques of the Umbrella Movement can be an effective place to find solutions. As in the Tiananmen Square massacre almost thirty years ago, the question of class participation and the intersection between the workers’ movement and the larger mass movement is key. In both Tiananmen and the Umbrella movement, working class support proved to be decisive, but the weakness of the labor movement in mobilizing freely and broadly in both instances stunted the potential of both mass upsurges. As long-time Hong Kong-based labor activist Au Loong-yu notes, while many labor organizations and workers, including the 160,000 member strong and influential pro-democracy Hong Kong Confederation of Trade Unions (HKCTU), joined the Umbrella Revolution, their ideological weakness and center-right drift into the aegis of liberal-democratic leadership and alliances obscured their voices and possibility for leadership and exercising real power.1 The lobbying and organizing efforts of the other influential labor group, the pro-Beijing Hong Kong Federation of Trade Unions (HKFTU), further divided workers’ participation in the movement into opposing camps. Striking Hong Kong dockworkers and supporters march at the port. Photo: Labor Notes/Left 21. But the Hong Kong labor movement is far from being entirely compromised and ineffective. The widely-publicized 2013 Kwai Tsing dock workers’ strike, led by the HKCTU-affiliate Union of Dock Workers, was one of the most effective and longest running labor actions in recent Hong Kong memory. The strike received unprecedented public support. Student groups like the Hong Kong Federation of Students and the small socialist collective Left 21 were among those who helped the workers by collecting supplies and raising funds for striking workers and their families. As a result, the workers and students disrupted operations in the world’s third busiest port for more than a month. In the face of the electoral defeats and setbacks, increasing organizing opportunities and political connection between the student-led social movements and workers’ struggles must be pivotal. The losing battle in the war of position in the electoral sphere signals that progressives and radicals must turn toward building mass support on the ground level, and concretizing the ephemeral alliances between workers and students. Outside of the electoral realm, the geography of Hong Kong allows for innovative anti-capitalist resistance strategies. One of the world’s most compact and yet most cosmopolitan cities, Hong Kong’s landscape expresses what social theorist Michel Foucault calls a ‘heterotopia,’ a single real space that may contain several other spaces. Direct actions like the dock workers’ strike entail taking up real, local space through material struggle, and yet may cause immediate global ripples through the unique position of Hong Kong being a key international financial center. Land ownership and territorial rights, especially the issues of gentrification and rampant development, are not only a frequent nexus of contention in China and Hong Kong, but also often draw the attention of different parts of the radical left and directly center the struggles of the most disenfranchised populations of the city. The Star Ferry protests in 2006 and the Hong Kong High-Speed Rail Link controversy in early 2010’s directly spurred the growth of local grassroots left collectives such as Left 21 and the still-operating Land Justice League. The recent storming of the Legislative Council by activists over disputes in the New Territories land plan in 2014 and the public outburst toward the proposed Hong Kong-Guangzhou High Speed Rail Project last year demonstrate that problems of gentrification, land use, and territorial sovereignty remain a central point around which the left can organize and coalesce. Most importantly, developing solidarity between working-class and social movements in Hong Kong and China continue to be essential. A new discourse of right-wing, anti-immigrant populism also played an influential role in the youth movements, fostered by the deep inefficacy of the C. K. Leung administration. Parties like Youngspiration, Hong Kong Indigenous, Civic Passion, and People Power, which advocate for an exclusionary and uncritical sense of Hong Kong independence and sometimes even look to Hong Kong’s colonial past in nostalgia, often played active roles in the popular movements of the past decade. We must maneuver away from and out-organize these forces in order to re-center the conversation on working-class solidarity between China and Hong Kong and the city’s political autonomy. Hong Kong played a central role in China’s rapid turn toward capitalism, or ‘socialism with Chinese characteristics,’ from the 70’s onward. From early Chinese investments in HK-based companies in the 90’s to China developing their first offshore renminbi hub right in Hong Kong, Hong Kong has long been a place of capitalist experimentation for the PRC regime. Hong Kong’s social and political ills must not be seen in isolation from China’s developing neoliberal policies and concomitant labor problem. China’s ever-expanding bubble of rural migrant labor may not prove sustainable with the party’s rigid authoritarianism and expanding neoliberal economy. The Wen Jiabao-era ‘harmonious society’ reforms and even Xi’s recent reforms to the oppressive hukou system merely put a bandage on a broken bone. Un-sanctioned violent strikes have been increasing, and despite the inability to sustain a broad labor movement, many instances of cross-factory or even cross-city strikes and demonstrations have occurred. Given the deep economic interdependence between Hong Kong and China, the elephant in the room for Hong Kong’s pan-democracy camp is that any real systemic change in Hong Kong is unlikely unless we can build room for solidarity with the working class, students, and activists in China. In the international context, Hong Kong’s democratic resistance is also important because the city is an opening to China, which occupies a unique position in the global economy. As a rapidly developing capitalist superpower and alternative to U.S. imperialist hegemony, China is also carving out its own brand of imperialism and capitalist hegemony. For one, China’s 62 billion dollar investment into the China-Pakistan Economic Corridor (CPEC) has raised speculations that the project will lead to unsustainable debt for Pakistan. For a ‘communist’ country whose late premier Zhou Enlai once espoused the ‘Principles of Foreign Aid’ that were lauded by the left as visionary and equitable, China has degenerated into what it had once condemned. In this light, the struggle for democratic and economic rights in Hong Kong becomes an important conjuncture in the larger movement to overturn China’s new capitalism. Demosisto’s steady demise over the past year with the arrests and/or electoral disqualification of most of its leaders forces us to critically re-examine the legacy of the Umbrella Movement and next steps. Demosisto is by no means a radical or revolutionary party in any sense; the Umbrella Movement student leaders’ turn toward electoral politics and increasingly diplomatic relationship with the United States signal that another model for mass resistance against Chinese authoritarianism is needed. But, we must acknowledge their pivotal role at the forefront of the mass mobilization in the past few years. Perhaps a whole new terrain of struggle is necessary, one that might be unearthed precisely not by forgetting the valiant vanguard of the early-2000’s mass upsurge, but by learning from its contradictions, errors, and successes. Promise Li is a member of Solidarity in Los Angeles.